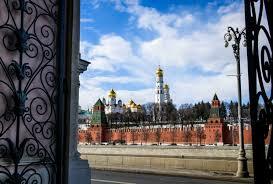 Russia pushes back against U.S. sanctions, while they accumulate gold. The U.S. is past master at the use of financial weapons and punitive sanctions. In World War I, the U.S. seized the Bayer Aspirin company from its German parent, Bayer AG. Months before Pearl Harbor, FDR froze Japanese funds in U.S. banks and put an embargo on oil shipments to Japan. In more recent times, the U.S. has imposed sanctions on Iran and North Korea because of their weapons programs, and on Russia because of its annexation of Crimea and interference in Eastern Ukraine. Now the U.S. is preparing new sanctions on Iran and sanctions and penalties on China for theft of intellectual property. All of this financial warfare is highly effective. But the targets of these sanctions are fed up and are actively looking at ways to get out of the dollar payments system, which is the main channel through which the U.S. exerts pressure. Now, Russia is fighting back with sanctions of its own. This article reports that Russia will impose criminal fines and jail time on any company that goes along with U.S. sanctions. This puts global corporations between a rock and a hard place. If companies don’t comply with U.S. sanctions, they can have their assets frozen by the U.S. If companies do comply with U.S. sanctions, they can be thrown in jail by the Russians. Take your pick. We should expect these financial wars with Russia, China, Iran, Syria, North Korea, Venezuela and perhaps Turkey to continue for years to come. The main victim is world trade and world growth. With debt piling up and growth slowing down, a global sovereign debt and liquidity crisis is just a shot away.